“How’d you go?” I said, looking over my shoulder as Gray crunched across the gravel towards me. He was wet to the waist but had that dreamy half smile that shows when things are working for a change. “You’re probably hauling the dry out of their mouth before they can turn down with it. I’ve had only two in the landing net, I think they’re still sulking on the bottom. Still, it’s warming up and we couldn’t have picked a better day, might get a decent hatch in an hour or two. What do you want to do?” I asked. Gray was by this time sitting on an old drift log watching me finish the last few casts at the eye of the pool that had produced the solitary take but no hook-up. “Let’s give it another couple of hours upstream and see how we go, there’s plenty of daylight left,” he replied. “Right-oh then, let’s knock the last of the thermos off first and get back into it,” I said and shucked off the pack to join him on the log. than Gray who often became so entranced with each long glide and pool-eye that he dallied. He worked the pools far more closely than me, though it wasn’t often that he picked up many more fish. My theory was that you could near enough work out the best lies to cover and that some areas were just not productive at all. Sure, I had been proved wrong but more often than not I felt there was a lot of casting wasted over effectively barren water. of my second pool before Gray had begun casting into the prime headwater of his first. He never got bitchy about this though he probably had a good reason. 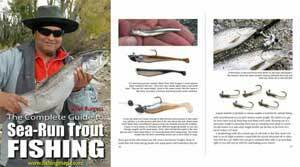 Gray was my first angling teacher and had patiently led me from stumbling and brash novice towards angler-hood. We understood that we fished differently and I’d never get so far ahead that he was only left the already-fished water. I’d drop back for a chat or he’d flounder quickly across the deeper water to ensure I didn’t leave him too far behind. When either of us got peckish we’d call a halt and compare notes over a brew. This morning had begun rather slowly. A cold misty start that made things uncomfortable and seemed to keep the fish very quite. As the sun sped across Lake Benmore and up the valley however it started to warm things up. We hadn’t spent a lot of time looking up the Ohau, Twizel or Bendrose Rivers that run in by the mouth nor the deep channel that leads to the Tekapo mouth itself, some of it created by bulldozers and willow extraction. While this work has impacted on some of the better fishing in the lower reaches, it is more than made up for by the sight of the black stilt sifting the stones for nymphs. If the lupin and willow removal creates a safer and more productive environment for the stilt, as is the intention, then that’s no price to pay. grasshopper, whose survival is also threatened, gets the benefit. I haven’t seen one of these squat brown insects yet as getting a line wet always seems to hold more attention. 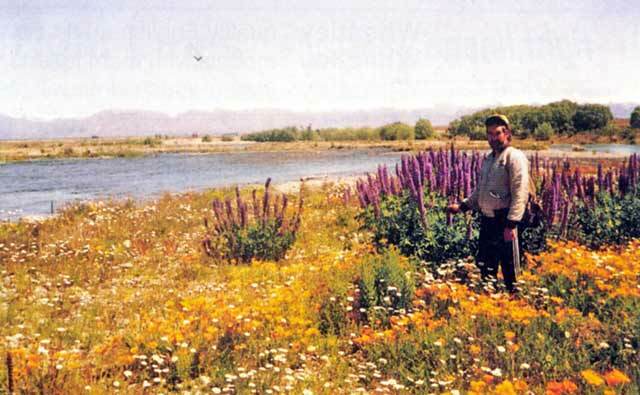 Introduced plants like lupin, broom and gorse get a ﬁrm hold and quickly establish islands that in turn create stable water channels, quite contrary to the natural inclination of a braided river system. This leads to fewer shallows where the wading birds feed and a reduction in nymph life. Cats and stoats are more easily able to predate their nests and the plants provide their cover. We had each taken a separate braid of the lower stretch and met where they forked. From there we had started the leapfrogging. I fished a #12 hare and pheasant nymph while Gray fished the now standard Royal Wulff with a small pheasant tail nymph on a dropper. I had spotted the first trout at the base of a wide drop-off and had him connected and dancing with the second cast. A nice rainbow that took some time to bring back from the other bank, all sparkling with water and scales. Except for a smaller brown, that gave little pleasure other than keeping my interest up, there was not a lot of activity. As we sat looking at the clear water and sipping the coffee Gray pointed out the flock of terns that were busy feeding ahead of us. They were not working the smooth water of the main pool nor the shallow glide that ran below it but were swooping and dipping into the fast ripple water that ran into the head. “I might just fish that through with the big Royal Wulff, if there’s enough of a hatch to get the terns working there should be trout as well,” stated Gray, who’d quickly clipped the nymph from the bend of his dry and lurched to his feet before I’d screwed the top onto the thermos. He was beating me at my own game but we didn’t fish competitively and I was quite happy to let him experiment on the water we’d normally ignore while I trudged ahead of him. He’d made three of four casts towards the centre, standing knee-deep about six feet into the flow. The surface broke, a quick ﬂash of silver and his rod was bowed. A two-pound rainbow was in action, curving high above the water before racing downstream with the current. Gray controlled the surprise well, giving me a wry I-told-you smile before calmly ‘netting and releasing it in one smooth action. I tried to ignore this as much as possible, putting it down to sheer luck and headed purposefully upstream. He had the second one on within five casts and now made no attempt to hide his sheer delight. While it would be harsh to say the smile was smug, I started to feel that it was directed as much at me as derived from the pleasure he was experiencing. Short tight casts in an arc ranging from the edge to the ruffled centre, the white calf-hair of the dry was clearly visible from where I watched. I stood rooted to the spot, following the bobbing dancing fly as he quartered the water ahead. Without fail, there would be a whoop of joy as another rainbow pulled the graphite down before surging skyward in the first burst of fury. 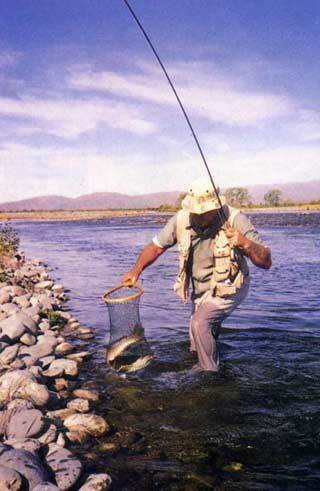 By the time he had got to the end of the ripple, he’d lost three and landed two, not big trout but strong performers. My jaw was brushing my chest as I hurried to replace my nymph with a proven Royal Wulff. Gray had me. By the time I had done the job he had passed me on the other side of the river and was chuckling away to himself, but loud enough for me to hear. He was ignoring the whole glide and the delightful blue pool at the top of the run. Unheard of tactics for this river, but of course it brought him directly to the next rapid that ran into the head of the pool. I could either ignore him and fish through the pool or get ahead of him and claim the next rapid above. The next rapid section was some way off and as I got close a four-wheel-drive appeared from nowhere and parked right at the head of the pool! Two anglers, all tackled up got out and split up. The first one commenced spinning the pool proper while his mate started casting into the rapid! 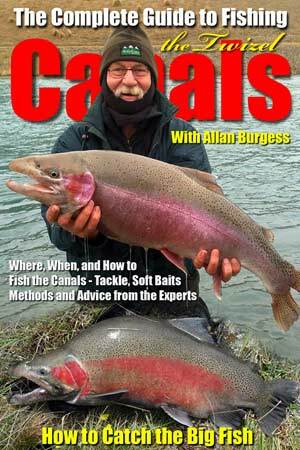 The angler in the rapids had one on within a couple of minutes and shouted encouragement to the other. Devastated but not giving up hope I hurried up further still. It took a good half hour and I was nearly up to the iron bridge before I found a likely set of rapids to ride the dry down. To the right was a group of big willows and in their shade, I could see two canvas tents surrounded by deck chairs and bedraggled clothes draped on sagging branches. Chortling away over their opened flagons were four or five campers, rods propped up all around them. A brief chat brought the information that they’d only just finished fishing, both below and upstream of the camp. They’d thrashed the water with spinning gear since 10 a.m. and were tuckered from all the sport. There wasn’t an undisturbed stretch of water within an hour’s tramp but I preserved without enthusiasm. It turned out to be well-founded. Not a fish to be seen, not a solitary rise to keep me eager. He’d landed another four fish but he hadn’t bothered to remember how many he’d had come off or been missed on the strike. “Lots was the closest I could get out of him. 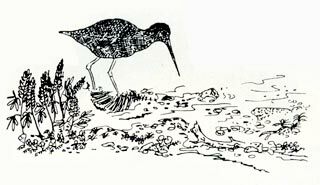 He’d even plucked a thick six-pound brown spotted at the base of a drop-off and seemingly only interested in Gray’s Royal Wulff. The look on my face must have signalled to him not to pursue any questions on how I’d gone. The sun had started to sink towards the Alps and the air was becoming cooler. A straight tramp over gravel bed back to the mouth would take an hour or two and I had begun to notice the cold sting of the water on my feet. Gray seemed quite relaxed about it all and was now so accommodating he was prepared to let me decide our next move. The cat and the cream concept came to mind as I tried to share his glow but I felt the best had come and gone and I’d missed my chances. The terns had slipped quietly away and only a few scattered mayflies could be seen drifting across the flow. If I’d noticed the obvious strategy earlier if only the other anglers hadn’t appeared if only I’d experimented with a dry when things seemed too quiet, if only… I’d run out of these “if-onlys” by the time we got within sight of the car, tired and sore and in tune with the magic evening that was slipping down around us. It was about this time that I realised that I’d lost the twenty dollars note I’d foolishly left in my trouser pocket carefully folded up next to the ﬂybox I’d used during the day. Later that night as we dissected the day’s activities I promised myself that I’d learn the lessons and I’d make doubly sure Gray didn’t get the jump on me again. Not that we’re competitive mind you!